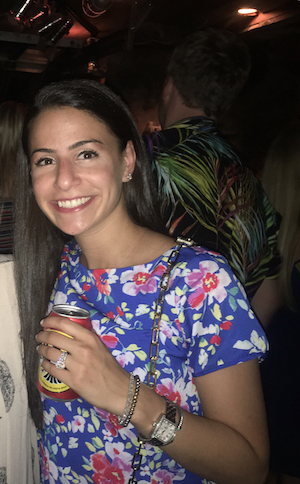 In this edition of Meet an Inker, we profiled Franki Zimmerman, Senior Partner Account Manager in our New York office. Franki is a Senior Partner Account Manager here at Movable Ink. She started here 4 years ago after moving from Washington DC. She now resides in Stamford, CT with her husband. When she isn’t commuting on Metro North, you can find her working on renovation projects in their new home, taking Orangetheory fitness classes, and binging virtually every TV show on Netflix. If you need show recommendations, hit her up! Tell us one thing you’ve learned since you started at Movable Ink. Where do I start? I would say how to run a really productive meeting, specifically around how we onboard clients and partners onto our platform so they really understand who we are and how they will utilize us in their email program. What’s the coolest thing that you’ve been a part of here? I was one of the first members of the partnership team so I have been here since the start of this program. Being able to identify who our first partners were and train and enable other organizations onto our technology was really interesting. What’s the best email you’ve ever received? Not just because I work for Movable Ink but the Delta Year in Review one! I am a very loyal Delta customer so that was cool. It was very personalized and it was interesting to see the different modules, like how many cities you visited and how many window seats you had! What’s one tidbit that someone would be surprised to learn about you? That I lived in 5 different cities. I grew up in Pittsburgh, lived in South Carolina for school, then popped around to DC, NYC, and Connecticut. If you could only listen to one song forever, what would it be and why? If I had to listen to one song for the rest of my life I’d chose You’ve Got The Love by Florence and the Machine. Super upbeat and motivating- even better live!! Where’s your favorite place in the greater NYC area? The Highline. Great restaurants in the area, beautiful views, and it’s a great place to walk! It’s not that crowded on the weekdays. This entry was posted in Culture and tagged meet an inker on August 15, 2017 by Kristen Dunleavy.